Draft: 2009, Cincinnati Reds, 1st rd. Michael Raymond Leake…resides in Paradise Valley, AZ, with his wife, Catherine, their son, Jackson, and daughter, Scotlyn…graduated from Fallbrook (CA) High School, where he earned 4 varsity letters…led team to 3 league titles in 4 seasons… 4-time All-Avocado League selection…played 3 seasons (2007-09) at Arizona State University…as a junior (2009), earned Baseball America First-Team All-America, Pac-10 Pitcher of the Year and First-Team All-Pac-10…in 2009, led NCAA D-I pitchers in wins (16) and led Pac-10 in wins (16), ERA (1.71), innings pitched (142.0) and strikeouts (162). The Totals - Went 10-10 with a 4.36 ERA (90 ER, 185.2 IP) with 119 strikeouts and 34 walks in 31 starts with the Mariners...7th Heaven - Recorded his 7th straight season of at least 30 starts and 50-or-fewer walks in 2018 (31 GS, 34)…joined Greg Maddux (13, 1996-2008) as the only pitchers in the live ball era with 7+ consecutive seasons of 30 starts and 50-or-fewer walks...Workhorse - Ranked 13th in the American League with 185.2 innings pitched…also ranked T14th in the AL with 31 starts...No Free Passes - Ranked 3rd in the American League, averaging 1.65 walks per 9.0 innings (34 BB, 185.2 IP)...Painting the Corners - Recorded the 2nd-longest streak in 2018 of consecutive batters faced without issuing a walk…from May 10 - June 7, faced 140 consecutive batters without a walk…trailed only Corey Kluber-CLE (179, 5/8 - 6/15) for the longest such streak in the Majors this season (STATS LLC)...Gotta Earn It - Among Mariners pitchers with at least 150.0 innings pitched in singleseason club history, ranks 6th for fewest walks allowed with 34...Start It Up - Had 9 starts of at least 7.0 innings pitched and 2 or fewer runs allowed, tied with Trevor Bauer-CLE and Sean Manaea-OAK for 6th-most such outings in the AL...Going for Distance - Logged 42.0 innings pitched in the month of June, tied with Jacob deGrom-NYM for the Major League lead…only deGrom (43.2 IP, August) and James Paxton (43.0 IP, May) tossed more innings in a calendar month in 2018...Pick Six - Worked into at least the 6th inning in 26 of his 31 starts, including 23 outings of at least 6.0 complete innings, 9 of 7.0+ innings and 4 of 8.0 innings of work...Beast vs. the East - In 8 starts against AL East opponents, was 4-1 with a 2.59 ERA (16 ER, 55.2 IP) with 38 strikeouts and 6 walks…had 7 quality starts vs. the AL East…among pitchers with 50.0+ innings pitched vs. the AL East in 2018, his 2.59 ERA was 5th-best. ...Give 'Em a Chance - Exited 20 of his 31 starts with a lead (14) or tied (6)...Hitting His Stride - From May 22 - June 12, went 3-0 with a 1.77 ERA (7 ER, 35.2 IP) with 20 strikeouts and 4 walks in 5 starts…the Mariners went 5-0 in those 5 starts…each of his 5 starts were quality starts, including 3 outings of 7.0+ innings and 2 or fewer runs allowed...Milestone - Recorded his 1,000th career strikeout on April 18 vs. Houston...Outliers - Gave up more than one-half (55.6%/50x90) of his earned runs in 9 starts: April 18 vs. Houston (5 ER), April 23 at Chicago-AL (8 ER), May 15 vs. Texas (5 ER), June 17 vs. Boston (5 ER), July 10 at Los Angeles-AL (5 ER), Aug. 26 at Arizona (5 ER), Aug. 31 at Oakland (6 ER), Sept. 18 at Houston (5 ER) and Sept. 25 vs. Oakland (6 ER)…subtracting those 9 starts, had a 2.52 ERA (40 ER, 143.0 IP) in 22 starts. PERSONAL: Michael Raymond Leake…resides in Paradise. The Totals - Was 10-13 with a 3.92 ERA (81 ER, 186.0 IP) with 130 strikeouts in 31 combined starts with St. Louis and Seattle... Seattle Finish - Was 3-1 with a 2.53 ERA (9 ER, 32.0 IP) with 27 strikeouts in 5 starts for Seattle... Trade - Acquired with cash and International Slot money from St. Louis in exchange for Rayder Ascanio on Aug. 30... Thirty - 6th consecutive season with 30+ starts…he's one of four pitchers who have recorded 30+ starts in the last 6 seasons, joining Max Scherzer, Jon Lester and Ian Kennedy... Birdie - Was 7-12 with 4.21 ERA (72 ER, 154.0 IP) with 103 strikeouts in 26 starts for St. Louis... Strong Start - Began season 6-6 with 2.97 ERA (35 ER, 106.0 IP) with 72 strikeouts in his first 16 starts; 1-6 with a 6.94 ERA (37 ER, 48.0 IP) with 31 strikeouts over his last 10 starts... Grounded - Ranked 4th in MLB with a ground ball rate of 54.3%, trailing only Toronto's Marcus Stroman (62.9%) and San Diego's Luis Perdomo (62.0) and Clayton Richard (60.2%)... Workhorse - Tossed 186.0 innings, his 4th season of 185.0+ innings... No Minor Thing - Started for St. Louis vs. Pittsburgh in Little League Classic at BB&T Ballpark in Williamsport, Pa. on Aug. 20…3rd career pro appearance in a minor league ballpark…made 2 appearances (1 start) with AAA Louisville (Cincinnati) in 2011... Going For Distance - Recorded 3 starts of 8.0+ innings pitched and 1-or-fewer runs allowed (4/7 vs. CIN, 5/24 at LAD and 6/30 vs. WAS)…only 6 pitchers in the Majors had more such starts this season (Corey Kluber-CLE, 8, Chris Sale-BOS, 4, Carlos Martinez-STL, 4, Zach Greinke-ARI, 4, Jacob deGrom-NYM, 4 and Carlos Carrasco-CLE, 4). Made 30 starts in his first season with St. Louis after signing a five-year deal with a mutual option for 2021...Issued a career-low 30 walks in 176.2 innings pitched to rank 2nd in the National League in BB/9 IP (1.53) (Bartolo Colon, 1.50). Was N.L. co-leader with Colon with 0.40 BB/TBF...Walked one batter or less in 24 of his 30 outings, including zero walks in 10 of his outings...Did not walk a batter in July (30.0 IP) as part of a career-best 36.0 inning streak without a walk issued, 2nd-longest in Majors in 2016 [6/30 (7th inn.) - 8/4 (1-5 inn. )], trailing LAA's Matt Shoemaker (39.1, 5/16-6-11) (Elias)...His 36.0 inning walk-less streak was the longest by a Cardinals pitcher since Bob Tewksbury's 55.0 IP in 1993 [6/15 (3-7 inn.) - 7/22 (1-6 inn.)] (Elias)...Finished 3rd in the N.L. with a 54.1 ground ball percentage, trailing teammates Jaime Garcia (57.9) & Carlos Martinez (57.7)...Pitched at least 6.0 innings in 21 of 30 starts (16 quality starts)...Threw 100 or more pitches in only four starts with a 3-1 record in those games...Co-led the N.L. with Philadelphia's Jerad Eickhoff with a career-high 10 sacrifice flies allowed...Led Major League pitchers in total chances (65), was 2nd in putouts (24), T2nd in double plays (5) and 3rd in assists (37)...Seven of his nine wins came on the road, 12th-most in the N.L...Dropped a 5-1 decision at PIT in his Cardinals debut on 4/6, allowing 4 runs on 7 hits in 4.1 IP (99 pitches)...In his Busch Stadium debut on 4/13, was charged with 4 ER on 8 hits over 6.0 IP in the Brewer's come-from-behind 6-4 win...The Cardinals 8-5 win on 4/24 at SD marked the first time that the team was victorious in a game he pitched...In eight starts between 5/10-6/10, went 5-1 with 2.70 ERA (53.1 IP/16 ER) and 36 strikeouts (seven quality starts)...Earned his first win as a member of the Cardinals in his start at LAA on 5/10; allowed one run over a season-best 8.0 innings...Recorded his second consecutive win at LAD on ESPN Sunday Night Baseball on 5/15, surrendering one run over 6.0 innings. Exited with the game tied at 1-1 as St. Louis scored three runs in the next frame for a 5-1 win...Joined Bob Gibson as only Cardinal pitcher to have consecutive starts with 10 or more K's and no walks issued, doing so on 7/10 at MIL (10K) & 7/18 vs. SD (11K). Snapped a three-game losing streak with a 5-1 win at Milwaukee in the final game before the All-Star Break (7/10). Fanned a season-high 10 batters in his 7.0 IP with no walks allowed, the third 10+ strikeout game of his career and first with no walks...Won his second-straight start with a 10-2 win over SD on 7/18, striking out 11 of his 24 batters faced in 6.0 innings pitched with no walks allowed...Recorded his 100th strikeout 8/14 at CHI, giving him 6-straight seasons with 100 strikeouts...Missed 14 games from 8/22-9/6 while on the 15-day disabled list with shingles. Established career highs in strikeouts, starts and innings pitched...ranked sixth in the National League in innings pitched and finished 1 start shy of the 3 co-leaders...a team-high 5 times was the victim of blown saves...in his 3-1 win on 6/26 at SF recorded a career-high 12 strikeouts, tied with Johnny Cueto for the most by a Reds pitcher in a game all season...missed his first scheduled spring training appearance because of an abdominal strain but then made 4 exhibition starts for the Reds and another on 3/29 in Louisville for the Bats vs the Major League club...made his season debut in the Reds' fourth regular season game, a 4-3 loss at NYM...as a batter hit 2 home runs (4/15 vs Pit off Gerrit Cole, 8/13 vs Bos off Anthony Ranaudo)...his 7 extra-base hits (5 2b, 2hr) tied LAD's Zack Greinke for the most by any pitcher in the majors...ranked T2nd among pitcher in doubles and third in HR. Made 30 starts splitting the season between Cincinnati (21 GS) and San Francisco (9 GS)…Posted a 11-10 record, his third highest win total (11) in a regular season (14, 2013 & 12, 2011)…Was traded from the Reds to the Giants on July 30 for INF Adam Duvall and minor league RHP Keury Mella…Was 4-0 with an 0.60 ERA (2 ER, 30.0 IP) in his last four starts with Cincinnati prior to being traded…Was 9-5 with a 3.56 ERA in 21 starts with Cincinnati and 2-5 with a 4.07 ERA in nine starts with San Francisco…Placed on the disabled list for 18 days (8/3-21) with a left hamstring strain...was scheduled to make his second start with SF at CHI (8/7), however his hamstring tightened up during routine sprints at ATL (8/3), one day after he made his debut with 6.1 innings in a 2-1 loss at TEX (8/2)…Surpassed the 1,000 career inning mark in a start at Miami (7/10), tossing 8.0 scoreless innings of three-hit ball in a 1-0 win…Made five scoreless starts of 8.0 or more innings pitched, the second-most such starts in MLB behind Clayton Kershaw (7)…Registered a 19.1-inning scoreless streak from April 30 to May 11, the longest by a Reds pitcher during the 2015 season…Threw his first career shutout in his final start of the season vs. LAD (9/30)...allowed just two hits and three walks with one strikeout the day after the Giants were eliminated from playoff contention…Tied for first among MLB pitchers with three doubles (Kennedy, SD) and T2nd among MLB pitchers with two home runs and 2nd with eight RBI (Bumgarner, SF, 5 HR & 9 RBI). Established career highs in starts, wins, innings pitched and strikeouts...ranked among the National League leaders in winning percentage (.667, T5th) and road ERA (2.81, 7th)...as the Reds battled for a Wild Card playoff spot, in 3 starts from 9/6-9/17 went 3-0, 0.84 - including a career-high 21.2-inning scoreless streak (9/6-9/24) that tied Mat Latos for the longest by a Reds starting pitcher in 2013 - before suffering a 4-2 loss on 9/24 vs NYM in his final appearance of the regular season...from 5/15-7/29 went 8-2, 1.82 in 14 starts, including 9 starts in which he threw at least 6.0 innings while allowing 0 or 1 earned run and a 16.2-inning scoreless streak from 5/15-5/27...his 1.82era was the second-best in the Major Leagues in that span (Bartolo Colon 1.52, minimum 14 starts)...in 19 starts from 4/17-7/29 went 10-4, 2.18 and produced the second-best ERA in the majors in that span (Clayton Kershaw 1.99, minimum 19 starts)...in the 11-2 win on 4/17 vs Phi threw 7.0 shutout innings and produced 2 singles and a triple (1rbi)...became the first Reds pitcher to score at least 3 runs in a game since Danny Jackson scored 4 runs on 9/4/88 vs Cubs...in the 4-3 walkoff loss on 6/22 at Ari retired his first 17 batters until pitcher Patrick Corbin doubled with 2 outs in the sixth inning, followed by Gerardo Parra's 2-run HR...in the 8-3 win on 7/24 at SF allowed a career-high 12 hits but just 1 run while stranding 10 baserunners...became the first pitcher to allow 12 hits and produce 3 hits as a batter since Hou's Mike Hampton on 7/28/99 at Col...as a batter, from 5/8-7/24 went a career-high 0-for-26, a skid snapped with a 3-hit game on 7/24 at SF...was on the Wild Card playoff roster but did not pitch in the 6-2 loss at Pit. In his third full Major League season at age 24 established career highs in starts and innings pitched ... was part of a staff in which 5 pitchers started 161 of the club's 162g (Bronson Arroyo, Homer Bailey, Johnny Cueto, Mat Latos) ... the Reds became only the eighth team in Major League history to produce 5 pitchers with at least 30 starts each (1977 Dodgers, 1980 A's, 1993 Dodgers, 2003 Mariners, 2005 Cardinals, 2005 Indians, 2006 White Sox) ... the Reds used 6 or fewer starting pitchers in a season for only the fourth time since 1900 (1900, 1942, 1951, 2012) and were the only team in the Major Leagues in 2012 to use as few as 6 starting pitchers ... produced 17 quality starts ... 4 times was the victim of blown saves...in his 30 starts the Reds went 16-14 and scored 139 runs (4.63 r/g) ... in 13 starts from 5/16-7/29 went 4-1 with a 3.02era, the sixth-best ERA in the National League and 10th-best in the majors in that span ... in the 5-1 win on 6/29 at SF threw the first complete game of his career (9h), produced 2 hits and homered off Matt Cain ... became the first Reds pitcher to homer while throwing a CG since Pete Harnisch did it on 8/9/00 vs Atl ... as a batter, led Major League pitchers in hitting (.305) and hits (18) and tied Wsh's Stephen Strasburg for the lead in extra-base hits (5) ... 3 times produced 2 hits while earning the victory (6/29 at SF, 8/25 vs StL, 9/11 vs Pit) ... also pinch hit 3 times (struck out, walked, struck out) ... hit his first career home run on 5/21 vs Atl off Mike Minor, a 2-out homer that was the first of 3 consecutive HR off Minor (Zack Cozart, Drew Stubbs) ... his homer off Cain was the second of his career ... prior to Game 4 of the Division Series vs SF replaced on the roster injured Johnny Cueto and started that night's 8-3 loss at GABP. In his second season in thestarting rotation, the 23-year-old led the staffin the pitching Triple Crown categories ofwins (12), ERA (3.86, among qualifiers) andstrikeouts (118) and tied Johnny Cueto for thestaff lead with 18 quality starts...all were careerhighs...threw at least 8.0 innings 4 times, tiedwith Cueto for the staff lead and includingconsecutive starts twice, and 8 times threw atleast 7.0 innings...on 6/6 vs Cubs and 6/11 atSF threw 8.0 innings in each start, the first Redspitcher to throw at least 8ip in consecutive appssince Bronson Arroyo in 2009...did it again inhis final 2 apps of the season, on 9/6 at Chi (9ip,2er) and 9/13 vs Chi (8ip, 1er)...in his 26 startsthe Reds went 15-11 and scored 130 runs (5.00r/g)...his career-high scoreless streak of 17.0innings from 6/6-6/17 tied Travis Wood's (6/20-9/24) for the longest by a Reds pitcher in 2011...began the season in the starting rotation andwent 3-1, 5.77 in 6 apps before he went to thebullpen in early May, when Homer Bailey andCueto came off the disabled list within 3 daysof each other...made 3 relief apps before hewas optioned to Louisville on 5/14, when Jose Arredondo came off the disabled list...after 2 apps at Louisville waspromoted on 5/27, started that night's game at Atl and earned the 5-1win...spent the rest of the season as one of the best pitchers in theReds' rotation...in 20 starts after he returned from Louisville went 9-7,3.36...didn't pitch after 9/13, when he reached 175.0 innings for theseason, including 7.1ip at Louisville...in his 10-2 win on 6/11 at SF,threw 8.0 scoreless innings and as a batter singled and doubled offTim Lincecum...became only the third pitcher in the last 20 years tothrow at least 8.0 scoreless innings and record 2 hits off a Cy YoungAward winner in the same game...he joined Hou's Doug Drabek,who had a shutout vs Atl and 3 hits off Tom Glavine in 1994, and Pit's Jeff Karstens, who had a shutout vs Ariand 2 hits off Randy Johnson in 2008...as a batter produced 11 hits, including a 2-hit game on 6/11 at SF...led the entire team with 10 sac bunts...his 27 hits over the last 2 seasons are third-most among all pitchersbehind Yovani Gallardo (31) and Randy Wolf (29)...in the 12th inning of the 13-inning, 5-4 win on 9/27 at NYMmade his only pinch-hitting appearance of the season and struck out vs Josh Stinson. Was 1 of 10 Reds players to make his Major League debut...became the 21st player sincethe draft began in 1965 to play in the majors without appearing in a minor league game (first since XavierNady in 2000), the seventh Reds player to doit (first since Bobby Henrich in 1957) and thefirst player from the June 2009 draft to make hisdebut...made his first 22 apps as a starter (8-4,3.78) and his last 2 apps in relief (0-0, 27.00,2.2ip, 8er)...after his final start, a 5-4 win on8/14 vs Fla, led all National League rookies ininnings pitched (135.2)...finished the seasonranked among NL rookie pitchers in ERA (4.23,9th), wins (8, T5th), starts (22, 3rd), inningspitched (138.1ip, 3rd) and strikeouts (91, 7th)...produced 13 quality starts...pitched into theseventh inning in 9 of his 22 starts and threw6.0 innings in 9 others...from 8/27-9/9 was onthe disabled list with a fatigued right shoulder...didn't pitch after he came off the DL but didmake 1 appearance, on 9/26 at SD pinch-hit andstruck out...received votes for National LeagueRookie of the Month for May (6gs, 2-0, 1.88)...was the first Reds pitcher to begin his MajorLeague career 5-0 since RHP Tim Layana in1990 and the first Reds starter to win his first 5career decisions since 1976, when RHP SantoAlcala began 5-0...at 5-0 was the first pitcher inReds history to remain undefeated through his first 12 Major League starts...his 7-1 start was the best by a Redsrookie pitcher since Wayne Simpson began the 1970 season with a13-1 record...in his 22 starts the Reds went 12-10...4 of the 10 losseswere by 1 run, 2 more were by 2 runs, 6 were in the opponent'sfinal at bat, 3 were in extra innings and 3 were walkoff losses...Cinis the first team in Major League history to lose 2 games in a singleseason in which they led by 6 runs or more entering the bottom ofthe ninth inning, and Leake started both of those games...he is theonly pitcher in Major League history to start more than 1 game in hisentire career in which his team lost after leading by at least 6 runsheading into the bottom of the ninth inning...was the victim of a blown save in the 10-9 loss at Atl on 5/20,when the Reds failed to hold 8-0 and 9-1 leads and allowed 7 runs in the bottom of the ninth...was the victimof another blown save in the 10-inning, 9-7 loss at Phi on 7/9, when the Phillies tied the game with 6 runs inthe bottom of the ninth and won in the 10th...on 4/11 vs Cubs, in his first professional appearance allowedjust 1 run in 6.2 innings but received no decision in the 3-1 victory (4h, 7bb, 5k, 1wp, 106 pitches)...in the topof the first inning loaded the bases with nobody out but didn't allow a run...first career strikeout was MarlonByrd (first inning)...following that game donated his cap to the National Baseball Hall of Fame and Museumin Cooperstown...the autographed lineup card and a game-used baseball went to the Reds Hall of Fame...ledall National League pitchers in hitting (.356 as a pitcher, 3rbi, 6sh)...hit safely in 11 of his 22 starts...produced2-hit games on 4/11 vs Cubs, 5/20 at Atl and 6/5 at Wsh and a 3-hit game on 7/9 at Phi...became the firstReds pitcher with 4 multi-hit games in a season since Jose Rijo produced 4 multi-hit games in 1993...on 7/9 atPhi became the first Reds pitcher with 3 hits in a game since Bobby Livingston had 4 hits on 7/16/07 at Atl...from 5/20-6/5 had a 4-game hitting streak (6-10, .600, 1 2b), the longest by a Reds pitcher since Livingston's4-game hitting streak from 6/1-7/26, 2007...in his Major League debut singled twice off Tom Gorzelanny tobecome the first Reds pitcher with 2 hits in his first career game since Benny Frey did it on 9/18/29 vs Phi...on 7/28 at Mil made his first career pinch-hit appearance and drew a walk off Carlos Villanueva...overall pinchhit 4 times, on 7/28 at Mil (walked), 8/15 vs Fla (F7), 8/25 at SF (K) and 9/26 at SD (K)...earned his spot inthe season-opening rotation by going 1-0, 3.00 in 2 starts and 4 relief apps during spring training (18ip, 16h,6er, 4bb, 10k, 1hr)...wore uniform number 76 in camp...entered his first professional season rated by BaseballAmerica as the third-best prospect in the organization behind IF Todd Frazier and 1B Yonder Alonso...wasnot on the club's National League Division Series roster. As the Reds' No. 1 draft pick made his professional debut in the prestigious Arizona FallLeague, where he went 1-2, 1.37 in 5 starts and 1 relief appearance for the Peoria Saguaros...in his 5 startsposted a 0.54era (16.2ip, 1er)...his curveball already has been rated by Baseball America as the best in theorganization...in his junior season at Arizona State University went 16-1, 1.71 with 7 complete games and2 shutouts in 18 starts and 1 relief appearance...led the country in wins and led the Pac-10 in ERA, inningspitched (142.0) and strikeouts (162). 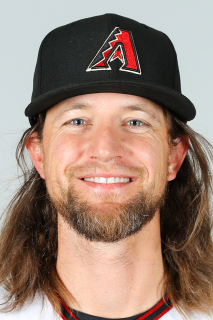 March 22, 2019 Seattle Mariners activated RHP Mike Leake from the temporarily inactive list. March 19, 2019 Seattle Mariners placed RHP Mike Leake on the temporarily inactive list. September 1, 2017 Seattle Mariners activated RHP Mike Leake. September 7, 2016 St. Louis Cardinals activated RHP Mike Leake from the 15-day disabled list. August 29, 2016 St. Louis Cardinals placed RHP Mike Leake on the 15-day disabled list retroactive to August 22, 2016. Shingles. December 22, 2015 St. Louis Cardinals signed free agent RHP Mike Leake. November 2, 2015 RHP Mike Leake elected free agency. August 22, 2015 San Francisco Giants activated RHP Mike Leake from the 15-day disabled list. July 31, 2015 San Francisco Giants activated RHP Mike Leake. July 30, 2015 Cincinnati Reds traded RHP Mike Leake to San Francisco Giants for 1B Adam Duvall and RHP Keury Mella. March 29, 2014 RHP Mike Leake assigned to Louisville Bats. October 10, 2012 Cincinnati Reds activated RHP Mike Leake. May 27, 2011 Cincinnati Reds recalled RHP Mike Leake from Louisville Bats. May 17, 2011 Mike Leake roster status changed by Louisville Bats. May 14, 2011 Cincinnati Reds optioned RHP Mike Leake to Louisville Bats. October 13, 2010 Cincinnati Reds activated RHP Mike Leake. October 6, 2010 Cincinnati Reds reassigned RHP Mike Leake to the minor leagues. September 10, 2010 Cincinnati Reds activated RHP Mike Leake from the 15-day disabled list. April 11, 2010 Cincinnati Reds selected the contract of RHP Mike Leake from Louisville Bats. April 8, 2010 Mike Leake assigned to Louisville Bats from Cincinnati Reds. October 6, 2009 RHP Mike Leake assigned to Peoria Saguaros. August 15, 2009 Cincinnati Reds signed RHP Mike Leake.